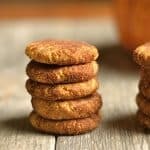 Grain-free Pumpkin Snickerdoodles are a Paleo, Vegan, and Gluten-Free cookie that is perfect for the fall! These make a great snack or dessert, and are a crowd pleaser! Can I just tell you how excited I am to start bringing on the pumpkin recipes? It’s one of my favorite ingredients to cook with and I love this time of year when I can add it to just about anything! 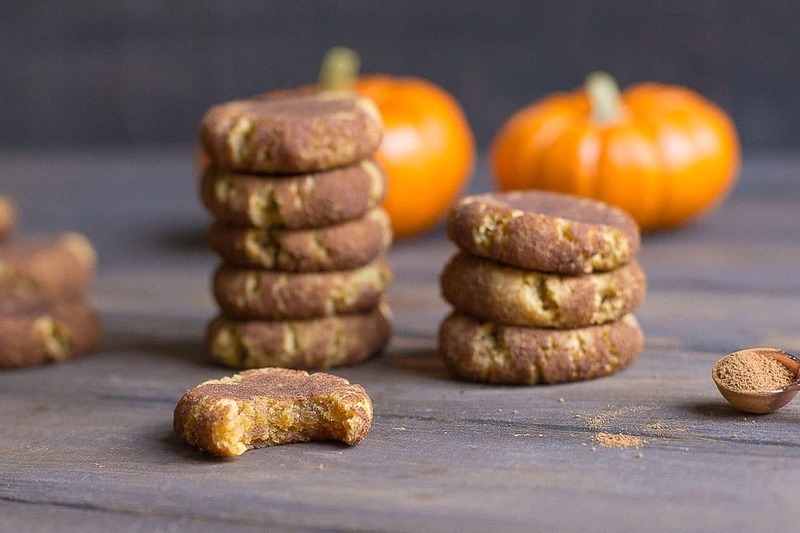 These delicious cookies are the perfect way to kick-off the pumpkin season. 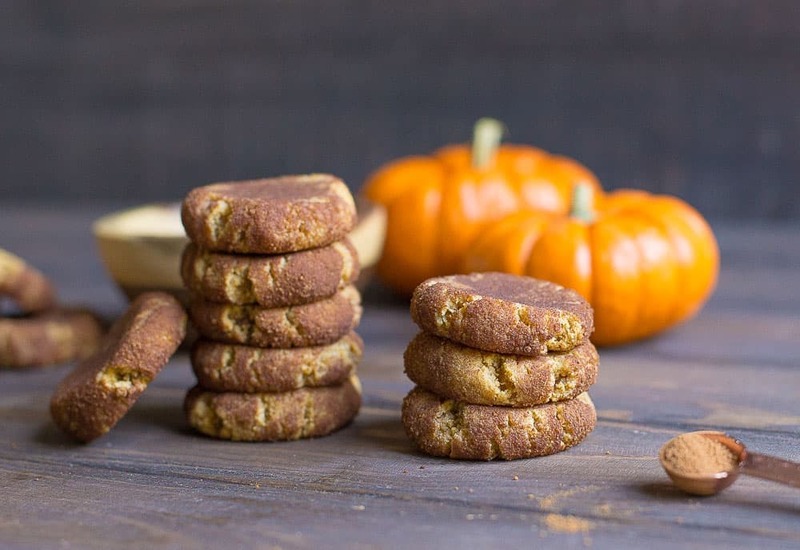 A classic cookie recipe that gets a pumpkin makeover and has only wholesome ingredients with no refined sugar. Yep, that’s right. Go ahead and eat them for breakfast if you want. These delicious, buttery, spiced cookies were also an afternoon snack for my kids who gave them rave reviews. “Best day ever!” said the little guy. “I want to bring them to school and let my friends try these!” said Miss Carbivore. They can be tough critics too. You only hear about the recipes they love, but trust me, there are recipes I create and hope to share with you, but sometimes they get the thumbs down from my kiddos. They were the ones who were initially gave me the idea for these cookies. My first grain-free snicker doodle cookie came from visiting a fabulous gluten-free restaurant in Huntsville, Alabama: Mason Dixon Bakery and Bistro. If you are ever in the area, pay them a visit! I had the most delicious gluten-free chicken apple brie sandwich. We met the owner, and she brought the kids a Paleo Snicker doodle for dessert. They have not stopped talking about that cookie ever since that day. Until now. Now we have this version to talk about! Bake for about 12 minutes, and let them cool completely on the pan. Remove and enjoy!!! In a large bowl, mix together almond flour, baking powder, salt, and pumpkin spice powder. In a separate small bowl, whisk together coconut oil, pumpkin puree, syrup, vanilla extract. In a small ball, mix cinnamon and coconut sugar. 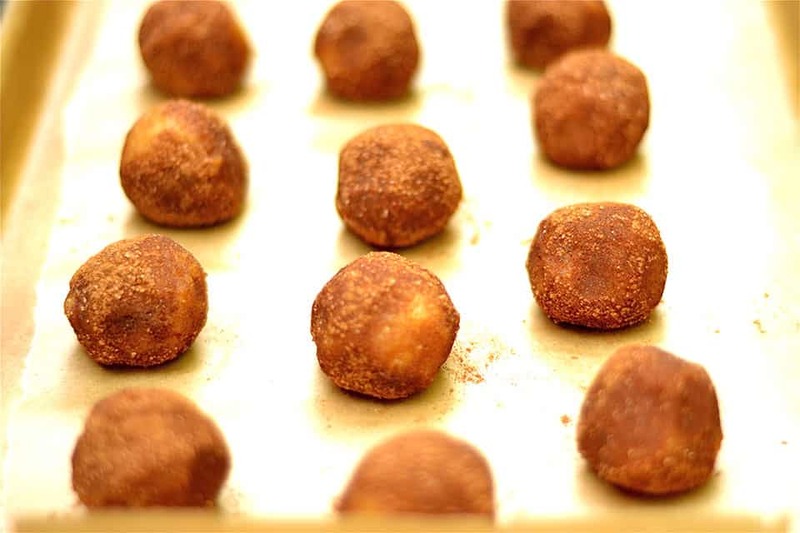 Form dough balls that are about 1.5 inches in diameter, roll dough into cinnamon mixture. Place on a cookie sheet. Using a jar or glass, flatten cookies to about 1/2 inch thick. Bake cookies for 10-12 minutes (depending on oven and thickness of cookies). Cookies should feel firm on the top, but may be soft in the middle. They will continue to get firmer once out of the oven. These look so delicious, Amy! 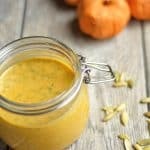 🙂 I love pumpkin season and I can’t wait to try your recipe! Question.. what is pumpkin spice powder? Is this pumpkin pie spice? Yes! Sorry, I don’t know why I wrote that. I just changed it. Thanks for noticing! question what is pumpkin pie spice. what is in it. i live in the netherlands and we don’t have that kind of spice. Hi Lia, pumpkin pie spice is a blend of cinnamon, ginger, cloves, and nutmeg. It is 1/2 cinnamon, and equal parts of the other 3. I lived in Germany for 4 years and could find those dried spices in most stores. You could make a larger batch and add it to your baking for the fall and winter! 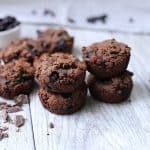 Wondering if I could substitute coconut flour for almond flour and if I would need to adjust anything? Thank you! Excited about this! Hi Erin, yes you can absolutely substitute coconut flour. Coconut flour tends to be a lot more dry, so I would mix it with 1 cup tapioca flour to help balance it out. 1 cup coconut flour, 1 cup tapioca flour. Hope that helps! Yes! Just to roll the cookies in, you may have extra when finished. Hope you enjoyed them! I am very excited to try this recipe! My only thing is I do not have almond flour. What substitution would you recommend? To keep them grain free you could use coconut flour (1cup) and tapioca flour (1 cup). I am not sure how regular flour would work, but you could try. Are these cookies study enough to ship or would they arrive in crumbs? Wanted to send to my son at college. What a great mom you are!! I would say, probably not a good idea to ship. They are very soft and delicate. Maybe if he’s home for the holidays have him take an extra batch home? That’s what I needed to know. I may just have to hand carry a batch on the plane! Bummer Anisa! Sorry they didn’t turn out for you. I have never used a Gluten-free flour blend, so I’m not sure. I do know that almond flour has a nutty, buttery taste that works well in these cookies to keep them nice and moist! These are the best snickerdoodles I have ever tasted!! OMGOSH!!!! Thank you for sharing!! I just made them yesterday and am going to have to make them again. They will be a regular!!!! I had a lot of cinnamon mixture left over, but saving it for the next batch!! Thanks Abby, glad you loved them! Just baked these, they are really good. Almond flour I’d pretty expensive here, I was going to buy some but decided against it. If I’m not doing this gluten free can I use while wheat flour? Will it do ok? Or would all purpose be better? All purpose flour would probably be best, but the cookie will be dry. I would add more coconut oil (another tbsp), add more pumpkin (another tbsp), and test the consistency. If it still seems dry, add an egg. I have only made them with almond flour so this is my best guess! Oh. My. Gosh! I’m noshing on these right now and they are SO good! 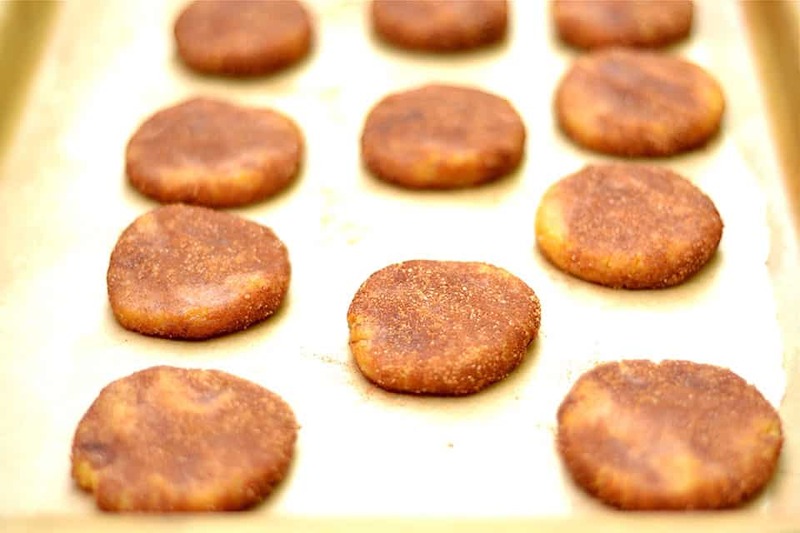 Great idea to “pumpkinize” snicker doodles! Thanks for the recipe! I wonder how this would work with cassava flour? I can’t do nuts. I think it would work just fine! I haven’t tried it yet, but you can easily replace cassava flour for almond meal or flour in most recipes. Can I use xylitol instead of maple syrup? Maybe a touch of maple extract? Sure, the maple syrup really adds depth so the extract is a must! Why not eggs and how many of them? And also it seems like there are not enough of the spices used for the recipe ?? Hi Nancy, no eggs in these cookies as I was making them Vegan friendly for some of my readers. The pumpkin acts as a great binding agent and eggs are not needed. Plenty of spice with the pumpkin pie spice and they are coated in cinnamon. Feel free to double the pumpkin pie spice if you’d like more! i Made these last night and substituted the almond flour with the coconut and tapioca flour. However, the dough was not sticky. It was very dry. I added more maple syrup and pumpkin. It still was very dry. I added more maple syrup and pumpkin. In the end, I had to add an egg. Although it was still crumbly, I knew that it was going to work. 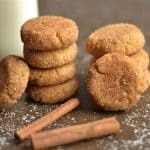 They taste wonderful but they are more cakey and chewy than a snickerdoodle. You can’t substitute coconut for almond flour 1-1. Thanks for the tip about using both coconut and tapioca flour. Can’t do nuts. Going to go make these now. The weird thing about snickerdoodles to me was always the use of Cream of Tartar. I don’t see it in your recipe as you use baking powder instead.. What type of difference will I see? Any particular reason it was not used? No particular reason. I just prefer baking powder instead as it contains both cream of tartar and baking soda. You can substitute if you’d like, but I would recommend adding baking soda too! 1/2 tsp cream of tarter and 1/8 tsp baking soda. My dough was super dry and would only kind of set up after adding additional wet ingredients. Even after cooking they just fell apart . I also didnt like the flavor. Not a fan sorry. Do I put them on parchment paper or spray with coconut oil? These are wonderful!!! To those who gave this a negative review … Shame on you 😄 How can you give a recipe a negative comment if you alter it. Changing the flour to something different doesn’t make you an accurate judge. I followed the recipe twice. Once exactly and once changing the proportion of the coconut sugar/ cinnamon ratio to 50/50. Both were great the 50/50 just made the cookies sweeter which of course my children preferred. However I liked it both ways. I was grateful to see a cookie recipe that did not include coconut flour . In my opinion it makes everything taste like a macaroon. Thank you for sharing this recipe, the cookies are awesome!! We will keep this one amongst our favorites.. This comment made my day!! Thank you!! Snickerdoodles are one of my favorite cookies! Thanks for sharing this Paleo friendly version. I love the addition of the pumpkin and the pumpkin pie spice. I think that these cookies have just the right amount of sweetness to scratch that itch. These are amazing!!!! I used coconut sugar instead of maple syrup (just because I didn’t have any) and added a little more pumpkin puree to make it wet enough. Still turned out perfect and a great soft inside. 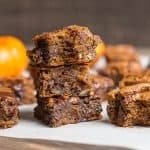 Love that this recipe is simple with no crazy ingredients and is gluten free and vegan and can be eaten by any picky eater. I will definitely be making these for every party I go to this season. Thanks for sharing! Hi Jennifer, thanks for your feedback. And yes, coconut and tapioca flour will make these very dry. The almond flour is a must! Can I sub another GF flour? Im allergic to almonds. Maybe cassava? I haven’t tried with any other flours, but they are all a little different. Just made thse with honey since I was out of maple. These are so yummy. Kids loved them. Yay!! So glad they were a hit! Hi wondering if the cinnamon should read 1/4 tsp? No, it’s 1/4 cup. It’s to roll the cookies in, most of the time I have some sugar/cinnamon mixture leftover. You could cut the cinnamon back a bit for more of a 50/50 with the sugar to make it sweeter if that is your preference. These are amazing!! Totally delicious and very festive for fall. They have a fantastic texture and aren’t too sweet. I’ll be making them again STAT! I added one egg, substituted honey for maple syrup and used baking soda. I also added a bitmore spice. They came out cakey, soft and delicious! Hi Amy – how long can I leave these in the fridge? Wondering if I can make ahead and cook the next day. Thanks! Did anyone’s recipe yield less than 15 cookies? I only got 9.